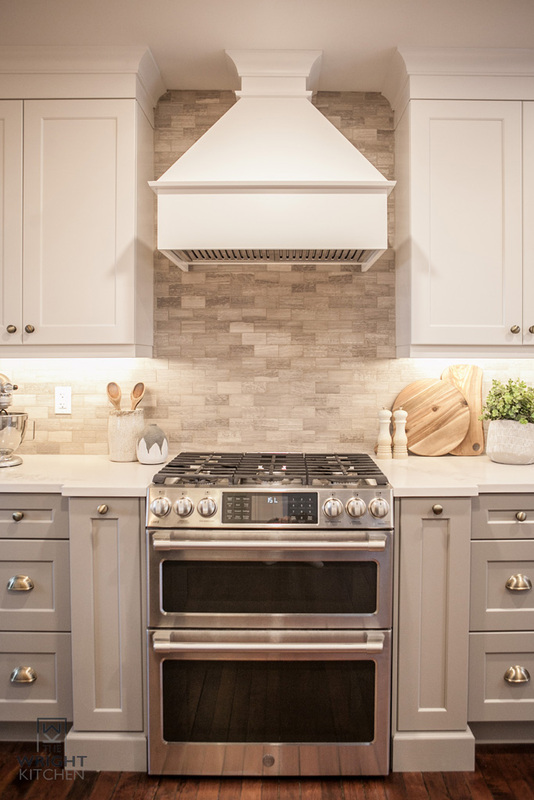 This was a special project for our designer, Christie Best as the clients have been working with her on their dream Kitchen designs since 2011. 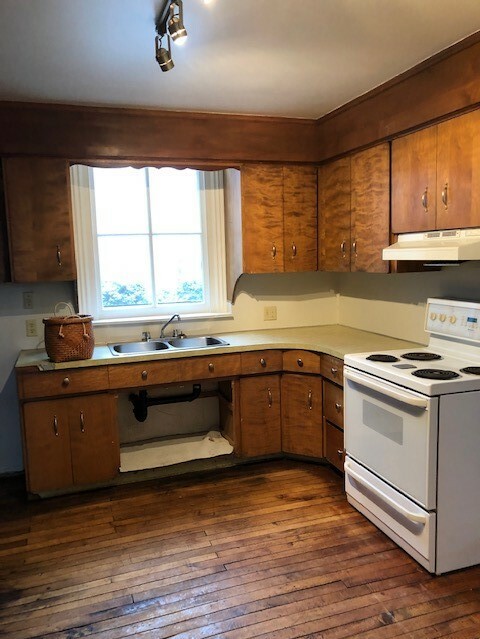 This home is a unique one given it is an original schoolhouse in Lynden, ON built in 1880. 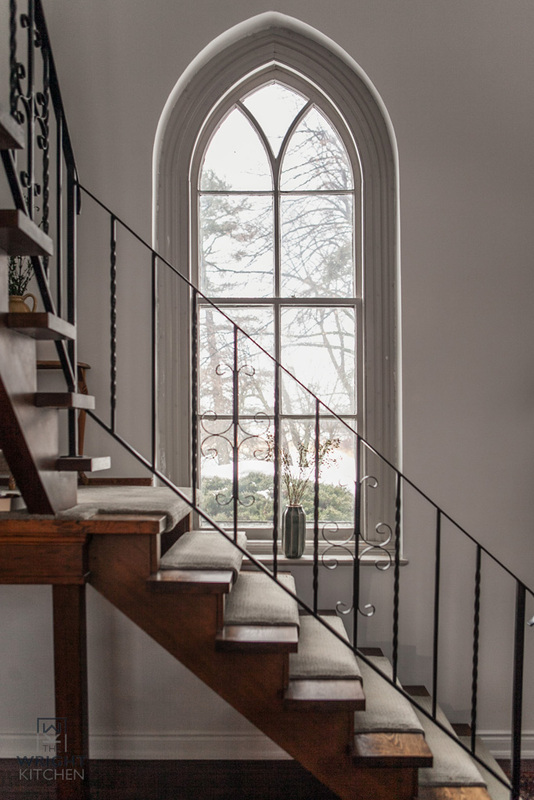 Maintaining the original charm and unique features of the schoolhouse were obviously a number one priority from the beginning. 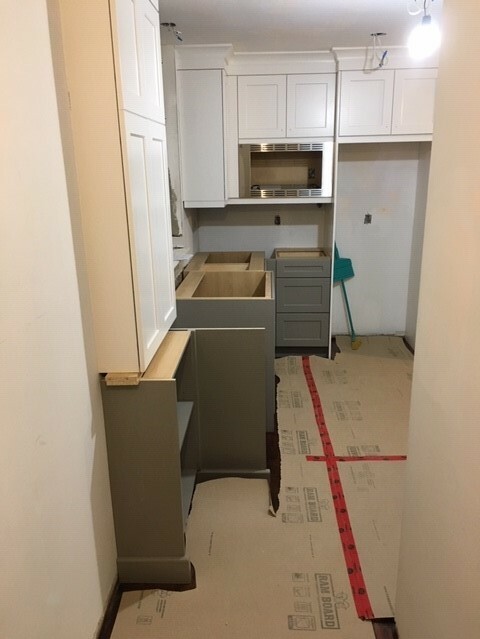 Given the age of the original structure there were construction obstacles that we had to keep in mind and find ways to incorporate them thoughtfully into the design. 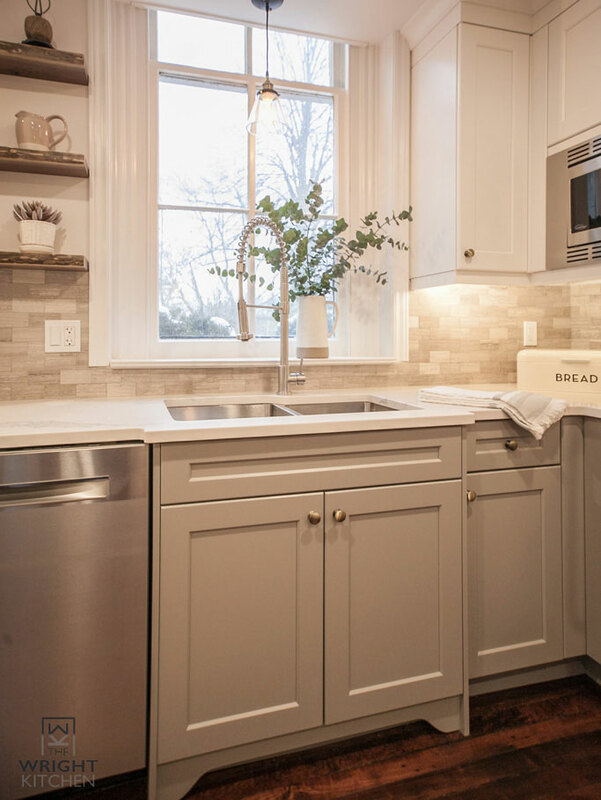 The scope of the renovation included the Kitchen, Laundry Room and Powder Room; all of which are a part of the original schoolhouse structure. 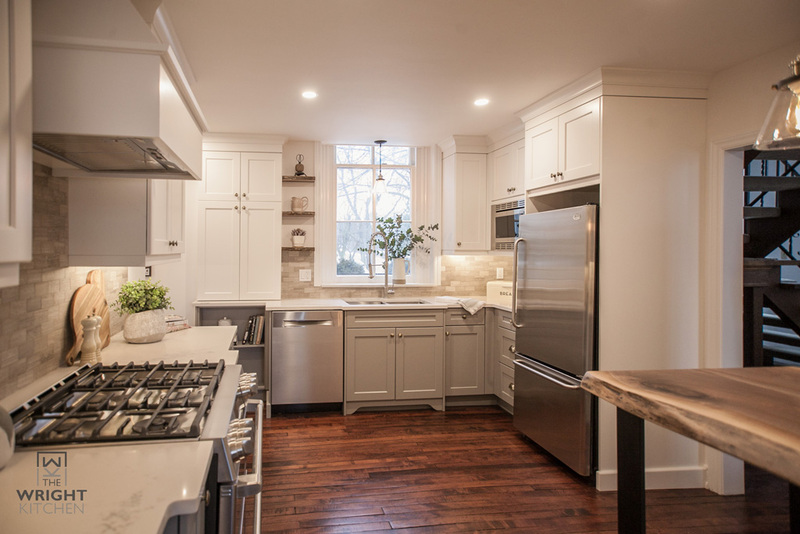 The clients enlisted the help of John Ambrosio of Ambrosio Construction to manage the general contracting work. 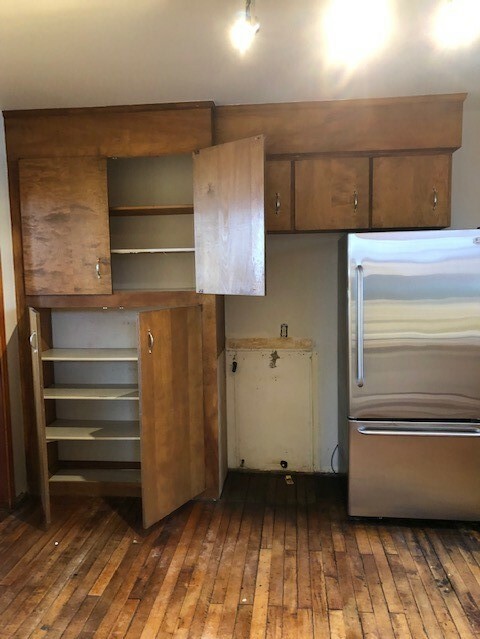 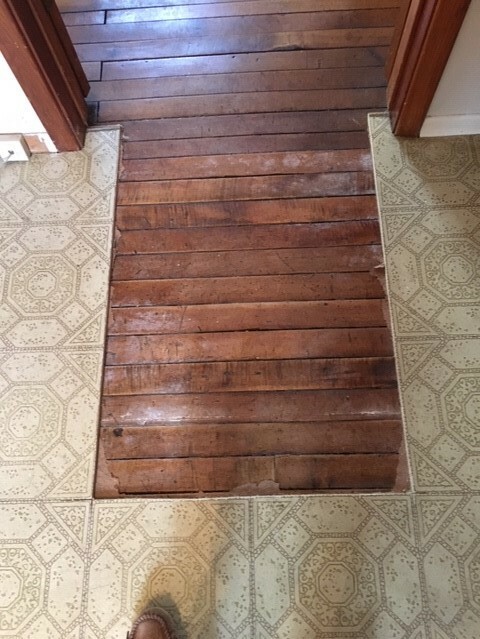 The top item on the clients ‘wish list’ was to save the 130-year-old original hardwood flooring that was sitting under a layer of linoleum tile. 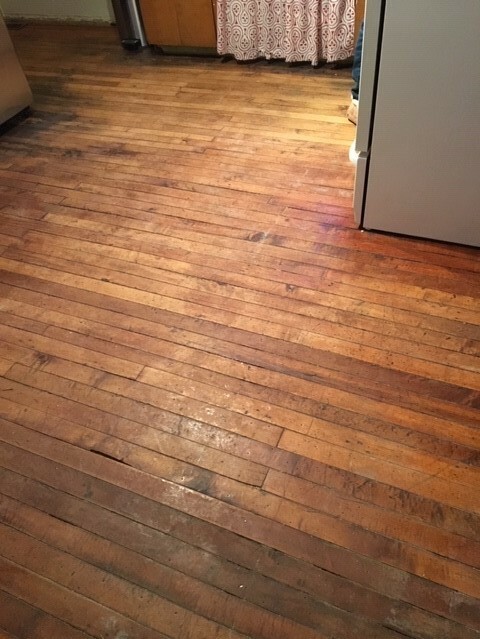 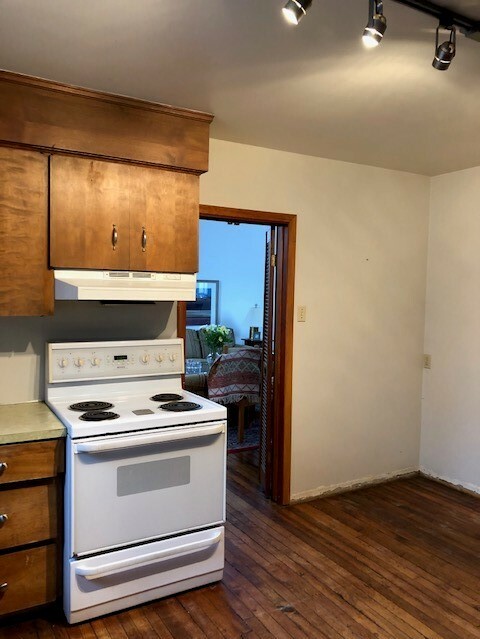 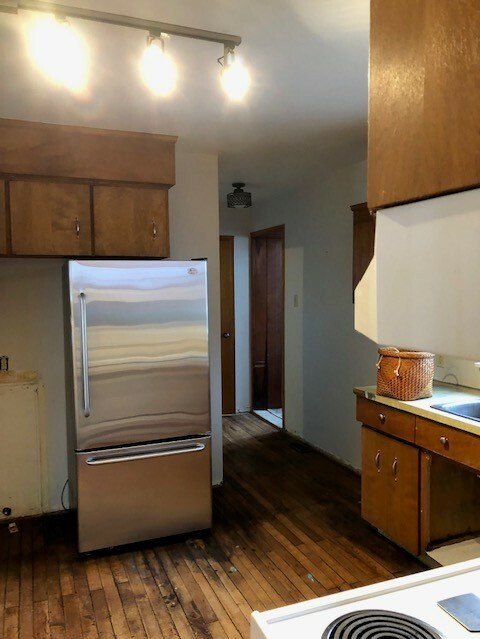 To everyone’s delight the linoleum was removed with little effort and the wood flooring was restored beautifully and draws a great amount of warmth to the finished space. 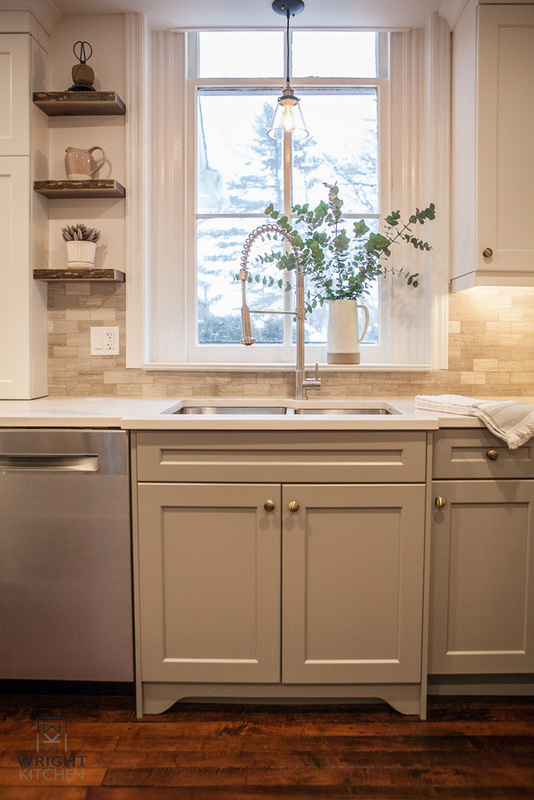 A large, original window that falls within the Kitchen was also refinished to keep the charm. 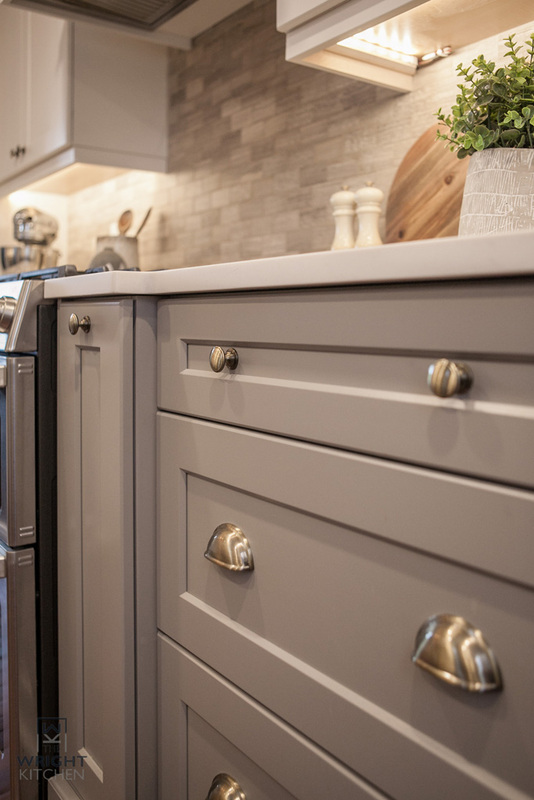 From the early design stages, Christie helped the clients envision two-tone cabinetry for their Kitchen. 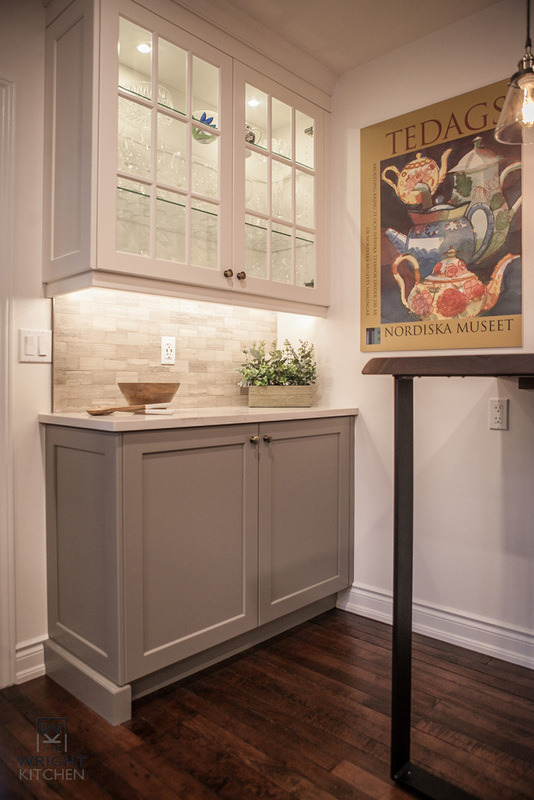 Warm wood accents, weathered brass and dark metal were design elements incorporated into the space through the use of floating shelves, hardware, lighting and a high-top walnut table. 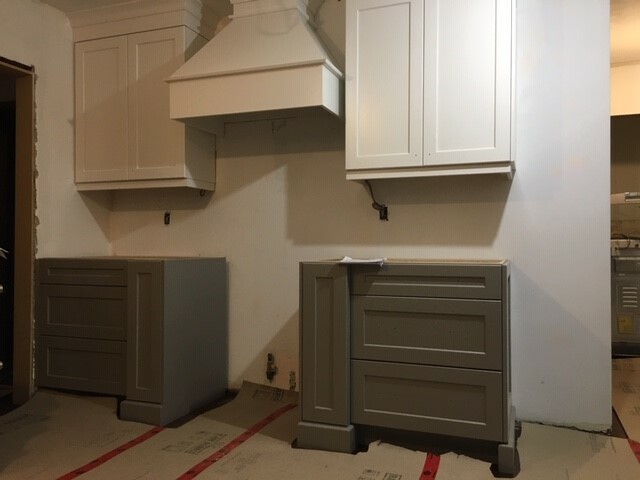 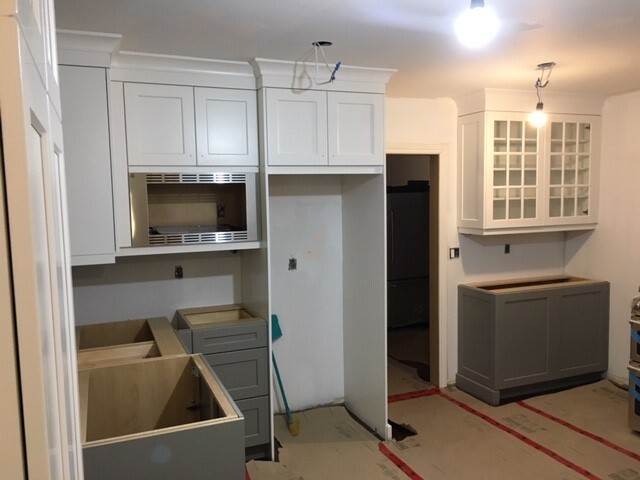 Housing the homes electrical panel, which couldn’t be relocated, was one of our major design obstacles and was seamlessly overcome by the use of custom millwork and a little bit of creativity. 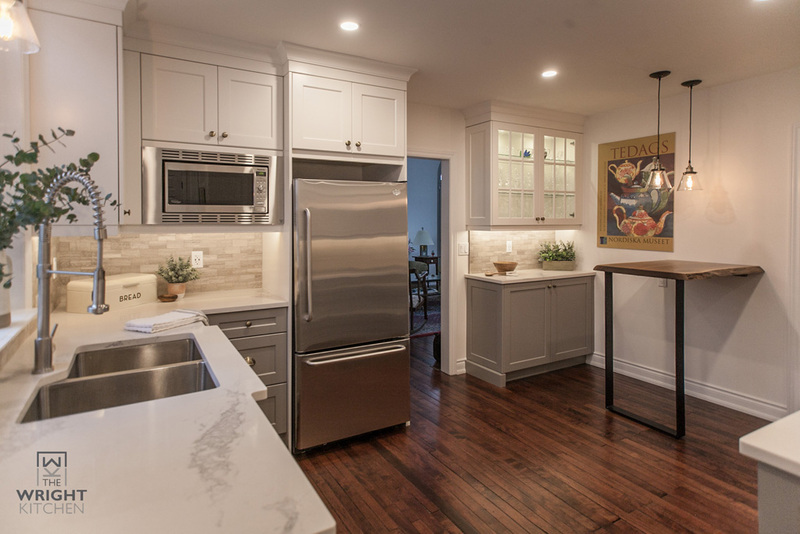 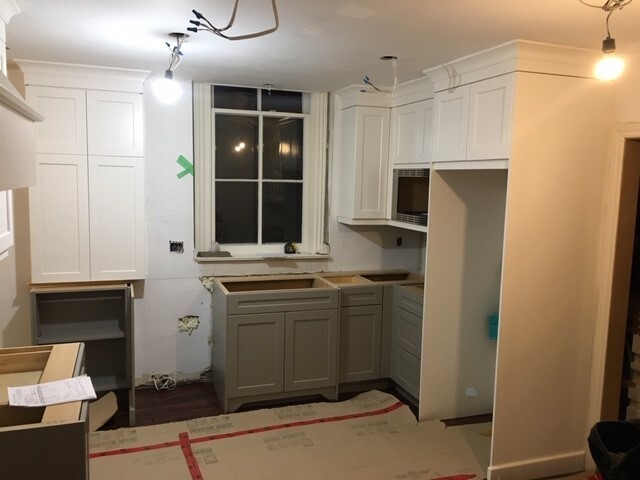 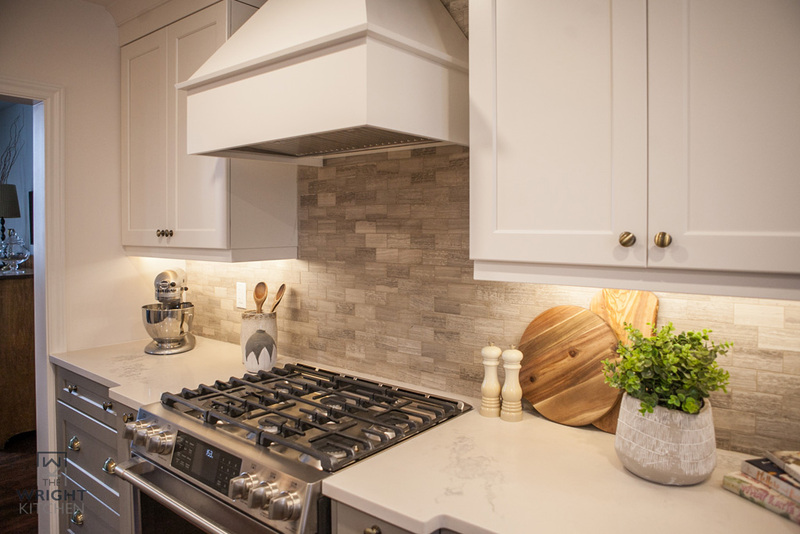 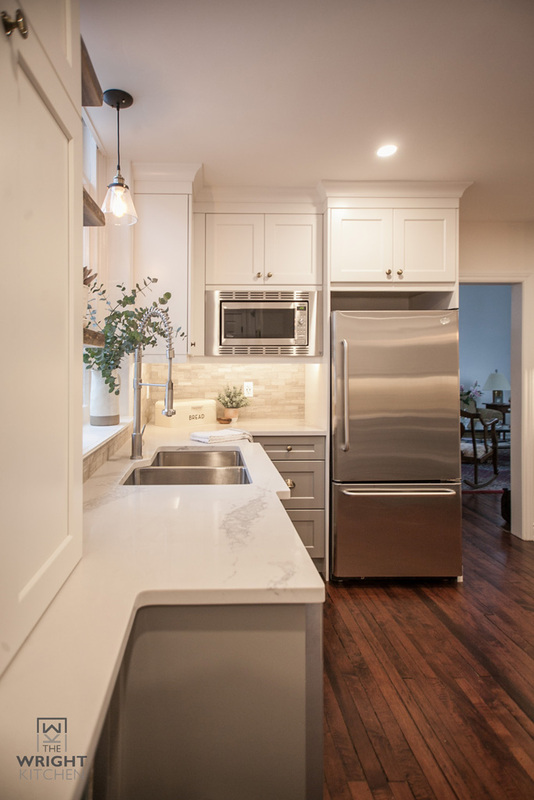 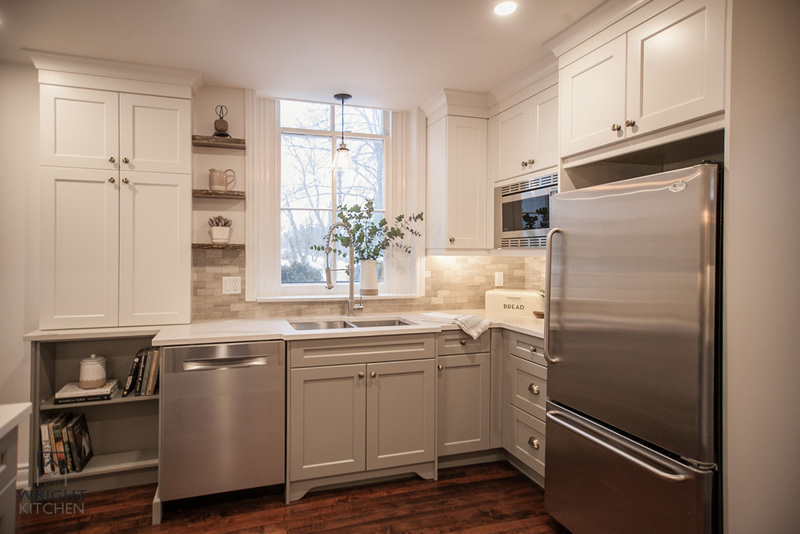 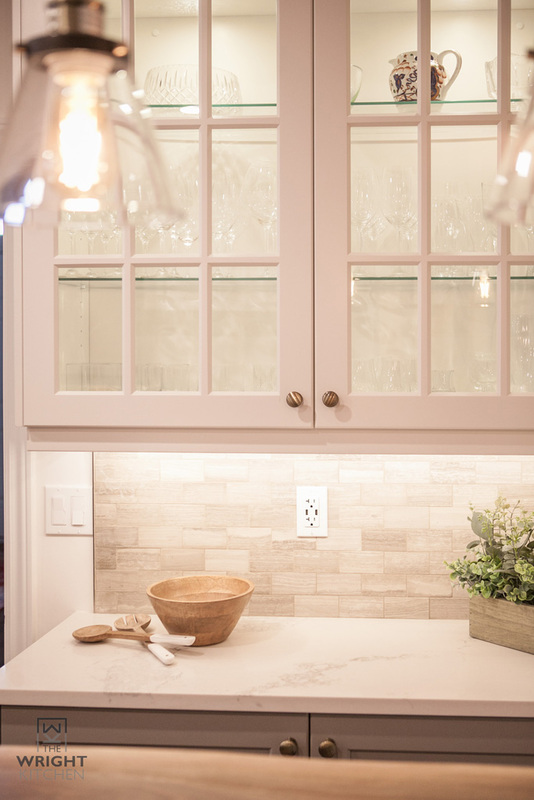 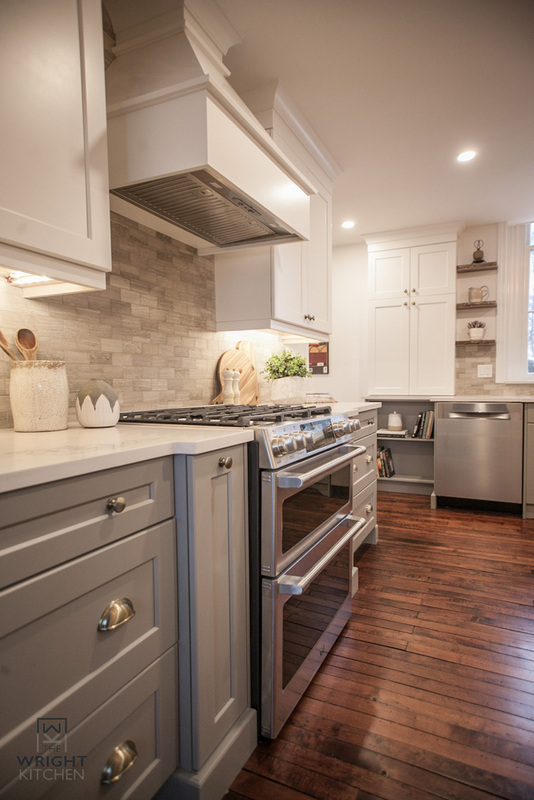 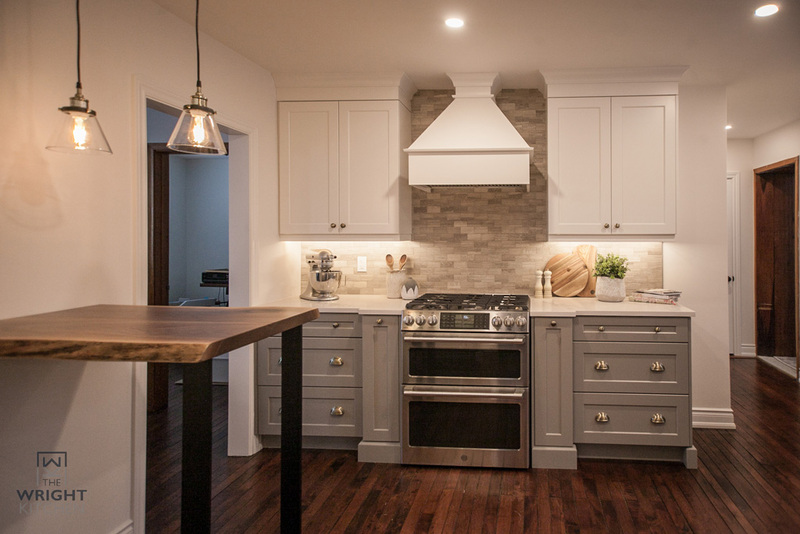 With the help of Ambrosio Construction, Lea Wood Co. and The Wright Kitchen every detail of this renovation was executed perfectly for our clients. 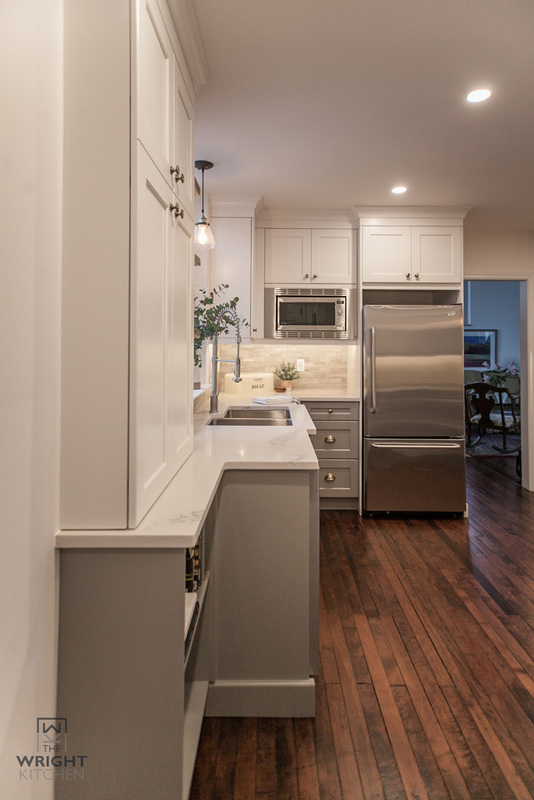 Resulting in a cohesive, beautiful space that exudes the original charm and reflects our client’s style and dreams perfectly!